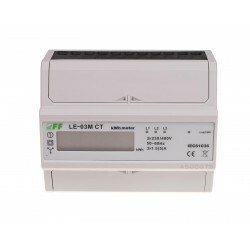 Three-phase energy meter. 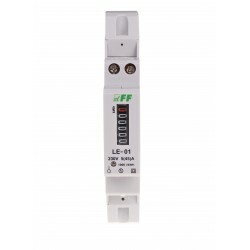 Maximum current 100A. 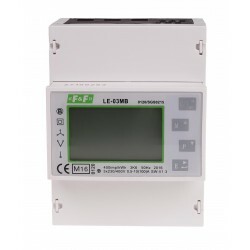 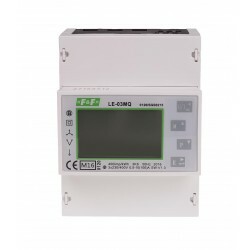 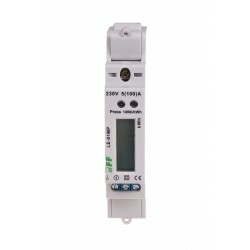 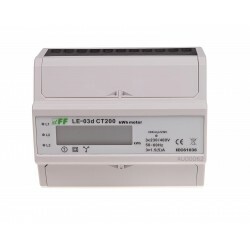 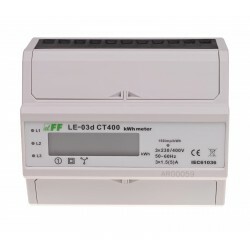 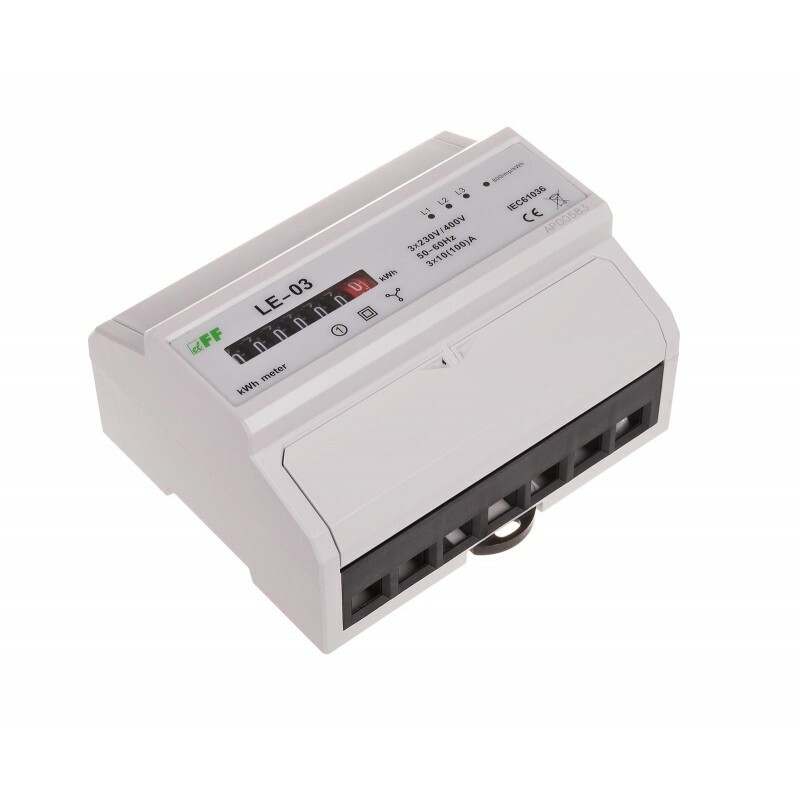 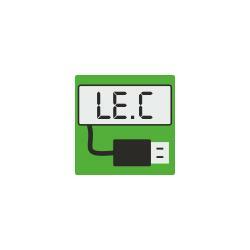 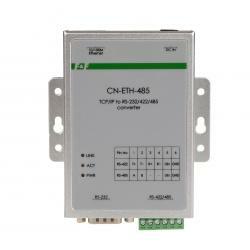 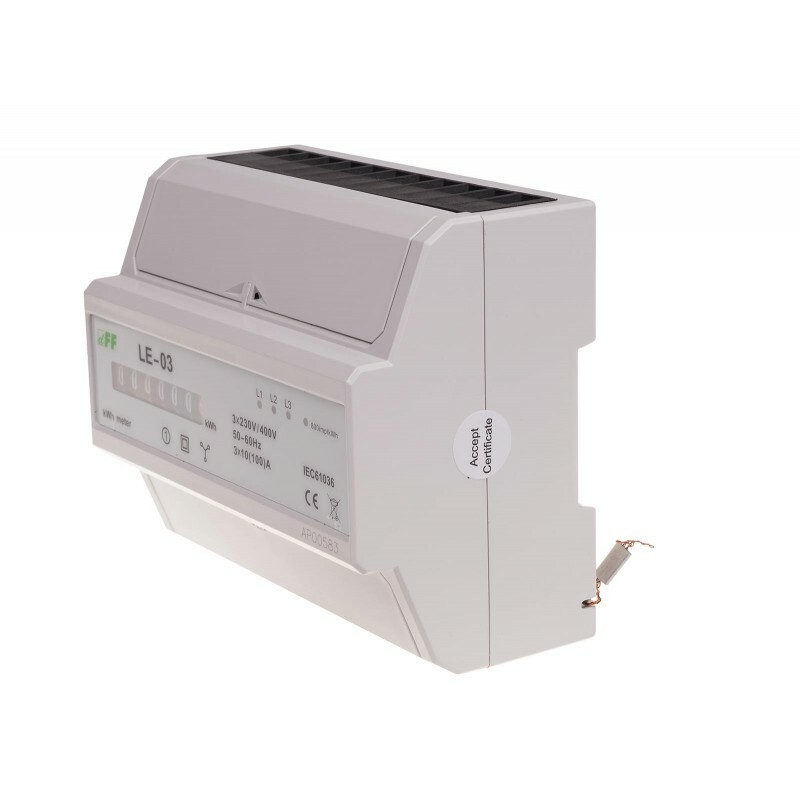 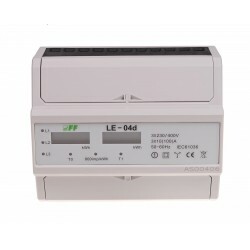 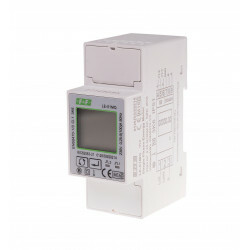 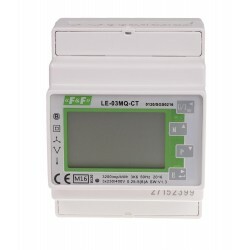 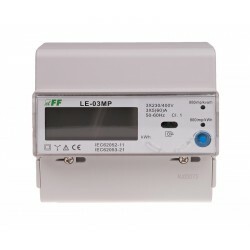 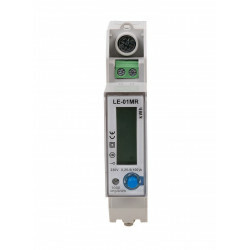 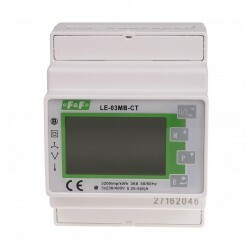 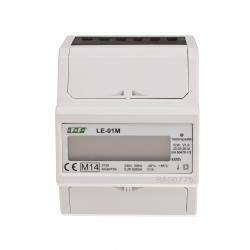 LE-03d is a static (electronic) calibrated electricity meter of three-phase alternating current in a direct system. 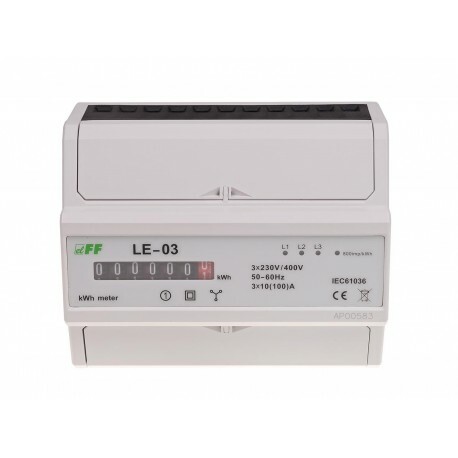 A special electronic system under the influence of flowing current and applied voltage in each phase generates pulses proportional to the energy drawn in the respective phase. 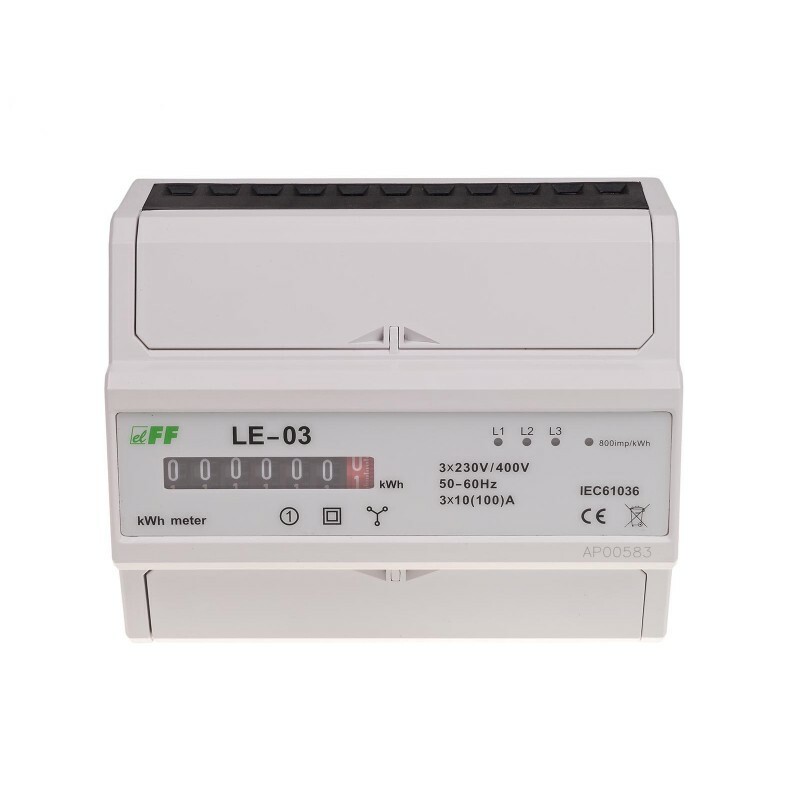 Energy consumption in the phase is indicated by a flashing of corresponding LED (A, B, C). 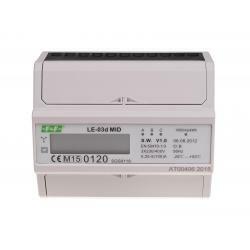 The sum of the three phase pulses is indicated by a flashing LED and converted into energy absorbed throughout the three-phase system. 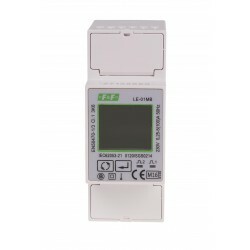 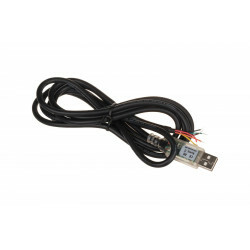 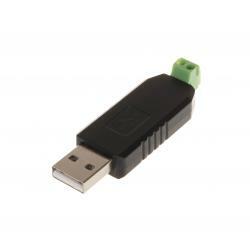 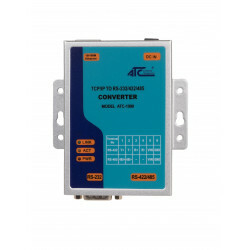 Its value is displayed by the segment LCD display. 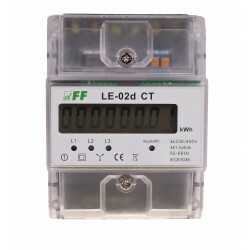 The fractional digit represent the decimal (.1 kWh = 100Wh). 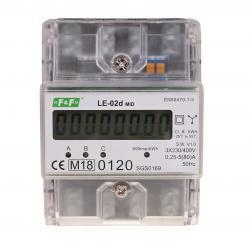 The meter is equipped with pulse output SO+ - SO-. 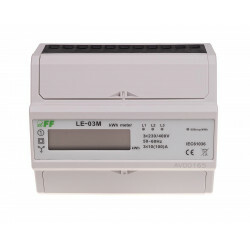 This allows you to connect another pulse device (SO) that reads pulses generated by the meter. 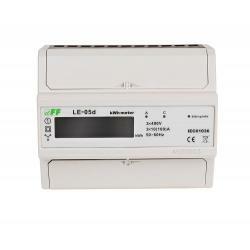 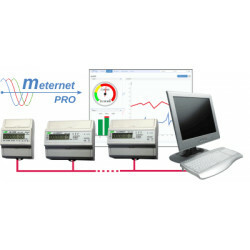 No additional connected equipment is required for proper operation of the meter.